The WireFree GenII View OI-9100 is a hand held signal strength meter specifically engineered to show the status of any WireFree GenII gas detection device within range. The View features a 4-line scrollable display. 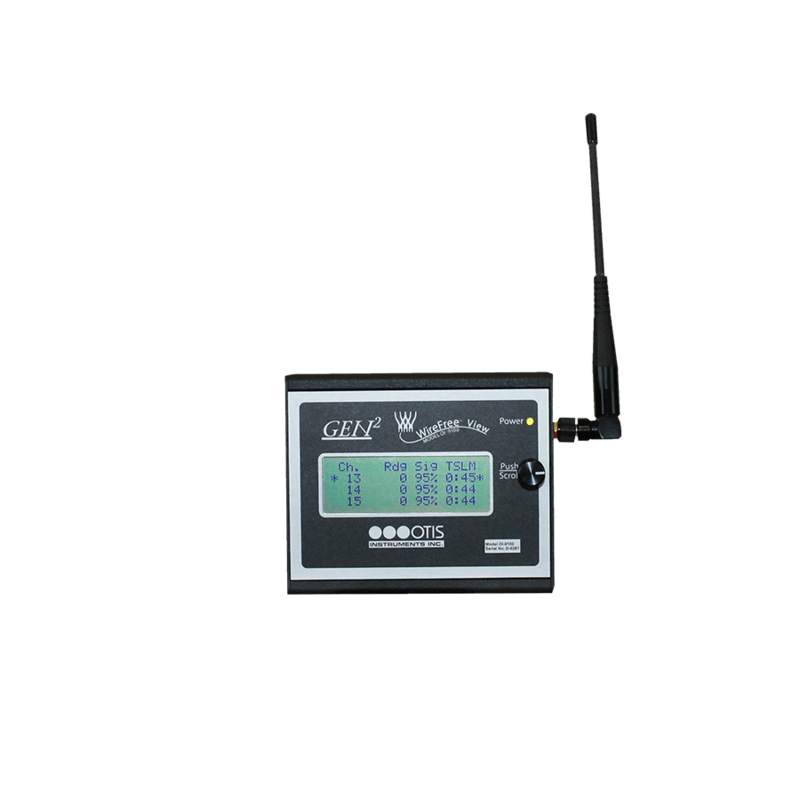 Using a 4-column read, the View is capable of revealing the Channel, Reading, Signal Strength, and Time Since Last Message of any WireFree device on site, as well as the Sensor, Gas, and Battery. The View contains a 900 MHz or 2.4 GHz radio, ensuring prompt and accurate communication with other WireFree devices. The ability of the View to continuously notify the user of each WireFree device’s status at a particular site make the device a truly phenomenal safety product to be introduced into the industry.